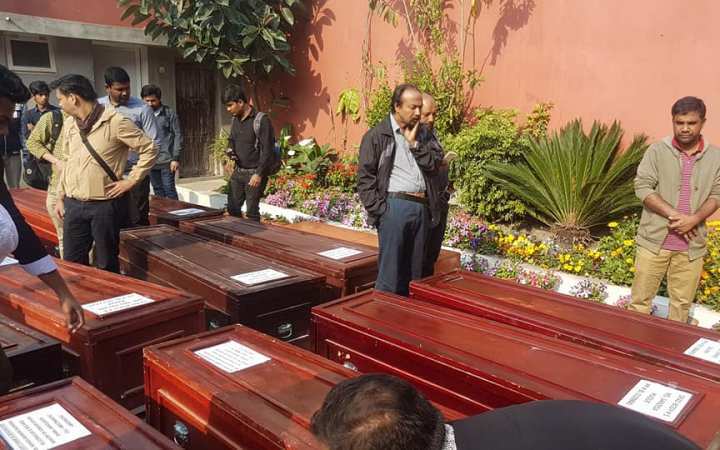 The second namaj-e-janaza of 23 US-Bangla plane crash victims will be held at Army Stadium in the capital on Monday afternoon. Prime Minister Sheikh Hasina will be present at the funeral programme that will be held in Army Stadium at 4:00pm, Inter Services Public Relations (ISPR) said in a text message. The namaj-e-janaza will be held at 4pm, said Rezaul Karim, assistant director of ISPR. A cargo plane of Bangladesh Air Force, carrying the bodies, is scheduled to land at Shahjalal International Airport in the city around 3pm. Earlier, the first janaj-e-janaza was held at Bangladesh Mission in Kathmandu at 9am. A total of 23 bodies were identified till Sunday.